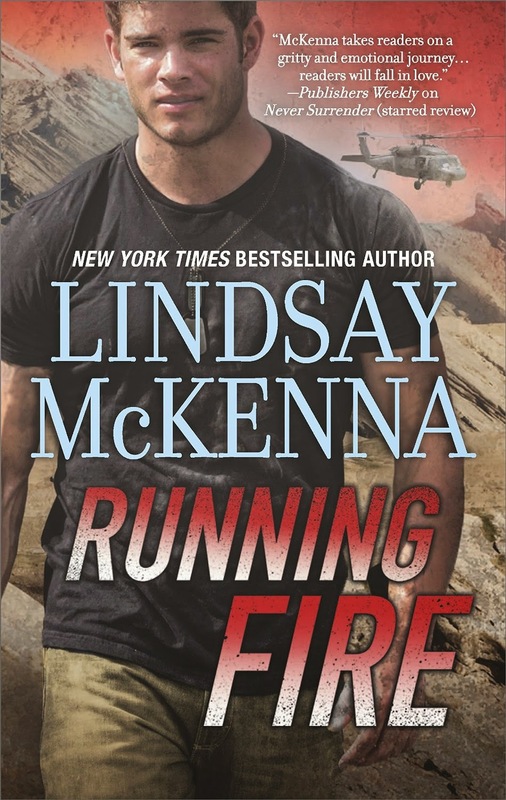 It is my pleasure to welcome military and romantic suspense author Lindsay McKenna's Running Fire Blog Tour to The Romance Dish today. I've been a fan of Ms. McKenna's work since the early 80's and a new book from her is always cause for celebration in my house. According to her website, McKenna has published more than 100 books since 1981 with 22 million books in 22 foreign languages sold world-wide. That's a whole lot of great reading! A ground-breaker in the romance industry, her 1983 Silhouette Special Edition, Captive of Fate launched the military-adventure romance genre, a segment of romance fiction that has become very popular over the years. 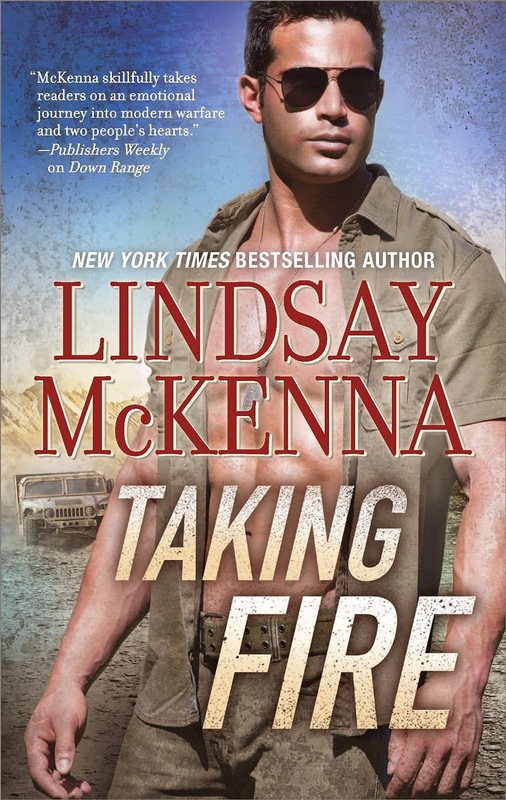 You can find more information about Lindsay McKenna and her books at her website. The name I choose for every character I write about means everything to me. The name needs to resonate within me, inspire me, sweep me off to the hero and heroine’s personality, their thoughts, emotions, desire, dreams and wounds. A name has energy to it and a very specific vibration. That name is a template from which the character “talks” to me for the duration (and sometimes, after) the book. When I start a new book, I’ll see a character come forward and introduce themselves to me. I see what they look like, how they are dressed, the expression on their face, etc. From that, I pick up a vibe about him or her. I can feel who they are inside and out, as if they are utterly transparent to me on every level with me. This is the magical part of creation which I love. The only downer is my characters never tell me their names! I go through a number of books, thumbing through them, muttering a bunch a names to see if one “fits” them or not. I go to tons of baby names websites on the Internet. I look for unique, interesting or oddball names. I’ve written over 135 books and all my favorite names have long ago, been used up! Choosing every name of every character is one of the most important things I do when developing a story. Every time I say that name out loud, I get an instant telepathic and emotional hit on that character. I never go out-of-character because of this. Choosing a name that embraces the particular character’s personality is vital. I favor short names over really long, convoluted ones. I like names you can create a nickname from or around. For example, the hero of RUNNING FIRE is a US Navy SEAL named Kelly Ballard. But everyone has, forever, called him by his nickname, Kell. And so, he grew up with it. There’s usually a reason why some people get nicknames spinning off their given name. Sometimes, there isn’t. In Kell’s world, people around him just automatically shortened it. Besides, Kell is an easy going sort of man and wasn’t one of those people who went around correcting everyone every time they didn’t call him by his real name, Kelly. (There are people out there like that, believe me). I also don’t care for a name I can’t pronounce without stumbling all over it. I figure if I do, so will my reader. It was tougher for me to find the heroine’s name: Leah Mackenzie. Names sound strong or weak to me. When I say the name, I want to investigate the layers enclosed within its vowels and consonants. In Leah’s case, when she came forward to introduce herself to me, I felt layers of steel, of grief, of suffering, but also, family meaning everything to her, a kindness and a loyalty that ran deeply through her. She was a highly complex and compartmentalized person, so I needed a name that had far more layers than normal to it. Above all, Leah was a person who cared deeply for family, and less for herself. I needed a name with vulnerability built into it. I wanted that softness that I felt deeply hidden and guarded by her. I had to have a name that contained those juxtapose polarities: marshmallow combined with steel. I spent seven days and finally discovered the name that resonated with her: Leah. Afterward? I always have fun looking up on the Internet what a name means by the country of its origin. And also, any historical or religious significance to it, or not. I’m always amazed, after I choose a name and then scour the basics of the name through history, that it ends up reflecting some basic tenets of my character. Go check the name Leah on Google, and you’ll get a ton of information! I hope you enjoy the many layers, twists and turns of Running Fire! 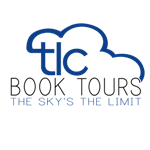 Please run over to my website and sign up for my quarterly newsletter (free). It contains exclusive information, giveaways, and surprises that only my subscribers will receive! 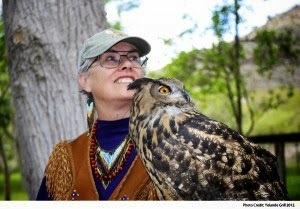 I love to hear from my readers, so make yourself known to me at www.lindsaymckenna.com. Thank you for blogging with us today, Lindsay! Readers, are character names important to you? Have you ever read a book with characters whose names don't "fit" in your mind? Do you have difficulty connecting with a character when you don't know how to pronounce his/her name? What does your name mean? Have you ever felt like you should have a different name? If you could re-name yourself, what name would you choose? Click for other stops on the tour. SEAL Kell Ballard's goal was to get the injured pilot out of harm's way and find shelter deep in the labyrinth of caves. It's a place of dark intimacy, where Leah finds unexpected safety in a man's arms. Where prohibited attraction burns brightly. And where they'll hide until the time comes to face the enemy outside…and the enemy within their ranks. Character names are important to me. I dislike names I can't pronounce or that are too long. I substitute an easier version and it is annoying throughout the whole book! Laurie comes from Latin meaning laurel or crown If I would have had a second daughter her name would have been Leah. My daughter's name is Lara. I like my name. However it became too popular in the 70's due to Susan Dey's character, Laurie , on the Partridge Family series. Lyndsay also became popular due to The Bionic Woman's Lyndsay Wagner. Fallon from Dallas. Cody from Kathy Lee Gifford's child's name. Laurie, names I can't pronounce drive me batty. No matter how good the story is, they continually distract me. I like my name. I was named after a relative when she was in her '90's. That's lovely. I was named after my mom (first name) and aunt (middle name). I like my name now but there was a time in my younger years when I wanted one that was "mine." Character's names often create an initial mental picture based on our own experiences, either positive or negative. It's up to the author to provide the description of the character that they envision. I do like to know how to pronounce the characters name, otherwise I stumble over it all thru the book and that disrupts the reading flow. I don't know where my parents got my name - tho there was a hurricane named Diane the month before I was born. Character's names often create an initial mental picture based on our own experiences, either positive or negative. I was named Laura Lee after a great-great aunt. My Mom had picked out a really silly name for me when I was born and my grandmothers, bless 'em, talked her out of it. I don't like when characters' names don't match their personality or are too obscure, but usually not enough to stop reading a book. I really enjoyed reading how an author pick's out a character's name. My Mom had picked out a really silly name for me when I was born and my grandmothers, bless 'em, talked her out of it. I have a similar story. My mom wanted to give me the name that ended up being my childhood nickname. My dad insisted that the name on my birth certificate be more formal. Thank you, Dad! Names really don't matter too much to me unless they are spelled weird or way out in left field. I can't take a Hero named Stryker too seriously or a heroine named Syrynedie. But... it's kinda like soap opera names... your stuff animal/doll's name + the street you grew up on... LOL... congrats to Lindsay on the new release! I can't take a Hero named Stryker too seriously or a heroine named Syrynedie. Oh, good grief! Have you actually read a book with a heroine by that name? Yikes! My name is a French derivation for a follower of Dionysus, the god of the grape harvest, god of wine. I kinda like my name. Growing up I thought it was unique because I didn't know if anyone else with my name. Now I know it is pretty common. I have a niece and a goddaughter Named after me, and that's pretty cool. I like characters with nicknames. Thanks for the chance to win. The only time I dislike a name in a story is when I can't pronounce it. I tend to keep changing it and it pulls me out of the story. I like my name, Jeanne, and believe it's French. I also like the name Lilly! Lindsay McKenna's have been favorites since I discovered her in the 90's. Strong characters, interesting locales, and well developed story lines make her books well worth the read. I was named Patricia after my dad's cousin who was a nun, hopping it would help. Sorry. I was called Patsy by family and friends and they still call me that. When I started college, I went by Pat and still do. I really don't care for Patsy any more but they still use it. Patricia means noble. We wanted to name our first daughter Rebecca Fairlight. (Fairlight was the name of a character in the book Christy. The nurse told us we couldn't use it because it wouldn't fit on the farm. We gave her a shorter 2nd name that I haven't cared for since. Thanks for featuring Lindsay for the tour!